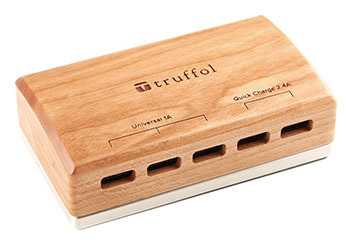 Does this wooden USB charger act as a hub for your computer’s limited USB connectivity? Nope. It’s just for charging phones. Does it look elegant with its wood casing? Nope. If you use it, you’ve still got a bunch of wires sticking out all over. And if someone sees you paid extra for a charger-that’s-not-even-a-hub to have a wooden case, they’ll know you’re a dipshit.